The Lincoln Stars will open the 2013-14 USHL regular season schedule this weekend with their Friday night home opener against the Cedar Rapids Roughriders, and then a Saturday road game in Kearney, NE against the Tri-City Storm. Puck drops at 7:05pm CST for each game. 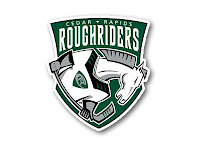 Up first for the Stars this Friday evening will be the visiting Cedar Rapids Roughriders. Like the Stars, the 'Riders will play their first game of the 2013-14 season on Friday. The USHL regular season officially began last Friday, but neither the Stars nor the Roughriders have played yet. 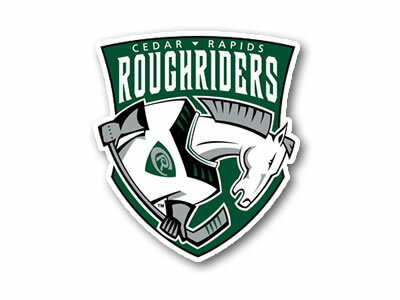 Cedar Rapids is coming off a disappointing 2012-13 season in which they finished with a losing record (25-30-9; 6th place in the eastern conference), and did not make the playoffs for the first time since their inaugural 1999-2000 season. Last year, the Riders were a very young, inexperienced team. They had the fifth-lowest scoring team in the USHL in 2012-13 with 188 goals in 64 games played. On the other end of the ice, they were the fifth worst defensive team in the league in terms of goal allowed (221 goals against in 64 games). So compared to what Cedar Rapids fans were used to, last season was an aberration and out of the norm. Long time head coach Mark Carlson isn't used to being at the bottom of the standings, but his team should rebound strongly this upcoming season. The 'Riders return a whopping 15 players from last year's team, and are considered to be one of the favorites in the eastern conference. They will be lead on offense by forwards Judd Peterson (Buffalo Sabres draft pick) and Andrew Poturalski. On Saturday evening, the Stars will travel west to the Viaero Event Center to participate in yet another home opener, this time for the Tri-City Storm. 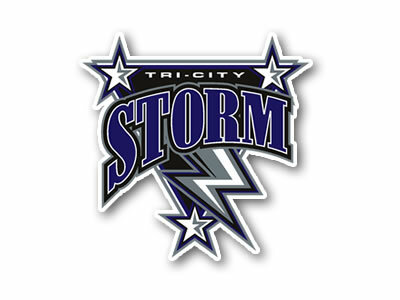 Last season, it's safe to say that the Lincoln Stars owned the Tri-City Storm. In nine regular season games against Tri-City during the 2012-13 season, the Stars went 9-0-0 and outscored the Storm 34-19. In fact, the Stars are 10-0-0 in their last ten regular season games against the Storm, dating back to the 2011-2012 season. Like the Roughriders, the Storm are also coming off a very disappointing 2012-13 regular season in which they went 22-35-7 and finished dead last in the USHL western conference. I'm not sure the Storm were as bad as their record indicates last season, because they did seem to play the Stars pretty tough despite not winning any of the nine games against Lincoln. Behind such talented youngsters as Chris Wilkie, Austin Poganski, Tory Dello, the Storm are hoping a recent youth movement will help them become more relevant in the USHL western conference in 2013-14. Wilkie, who is originally from Omaha, NE, was the #1 overall pick in the 2013 USHL Entry Draft and will be counted on to be a big point-getter for the Storm. Chris Wilkie is a name some fans might remember, as he played one game for the Lincoln Stars in November of 2011. The opponent that night? 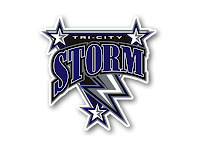 The Tri-City Storm. I believe Wilkie, who was playing for the Omaha AAA U-16 team at the time, was brought up for just the one game due to injuries on the Lincoln roster. The Storm do not play this Friday night, so they will be rested and ready to go on Saturday evening when they host the Stars in their home opener. Tri-City beat the Stars in Kearney by a score of 4-0 on 9/19 in Lincoln's last preseason game. I'm hoping the Stars players still have that game fresh in their minds on Saturday and can get some payback. If you are planning on attending the game in Kearney on Saturday night, make sure you order your tickets online at StormHockey.com and use the code "VIAERO" at checkout. That way, you'll get your tickets at $10 a piece. Not a bad deal there. I'm sure "StarsNation" will invade the Viaero Event Center like normal. As for the Stars, they only return a handful of players from last season and will be a much different looking team in 2013-14. Although there are a LOT of new faces, the Stars acquired quite a few players with good USHL/NAHL experience. They may be new to the Stars, but these players are not new to junior hockey. It's hard to gauge how well this Stars team will be in 2013-14. Considering the amount of turnover, especially at the forward position, there's a possibility this team could struggle to score goals early on. I believe that goaltender Michael Bitzer will need to be Lincoln's best player on the ice during the first few months of the season while the forwards get a chance to gel with one another. The defensive core of Frye-Pittman-Willett-Kolquist-Shiplo-Ivey-Vershay are very deep, and have a lot of good USHL experience. Before the game against the Roughriders on Friday night, the Stars will honor the next entries into their Hall of Fame. It will be interesting to see who gets selected, and if any of them will be in attendance. I'm not sure who will be selected, but I'm guessing you'll see four new players added to the Stars' Hall of Fame. Are there two better words in the lexicon of Lincoln Stars hockey than "home opener"? I'm not sure how much work I'll get done at my job tomorrow because I'll be thinking of the game all day long. It's hard to believe that hockey season is finally here. Before I end this rambling mess, please take a minute and think about how hard these young men have worked to get to this point in their hockey careers. I pretty much said the same thing last season before the first game, but I think it bears repeating. Well over 100+ players tried out for the Lincoln Stars way back in June at Ridder Arena in Minneapolis, MN. The players on this team have sacrificed so much, and have worked their asses off to earn a spot on the roster. So cheer a little louder tomorrow night in honor of these young men who are here to play for your entertainment. They deserve our praise and recognition. See you all at the IceBox. Let's get rowdy.